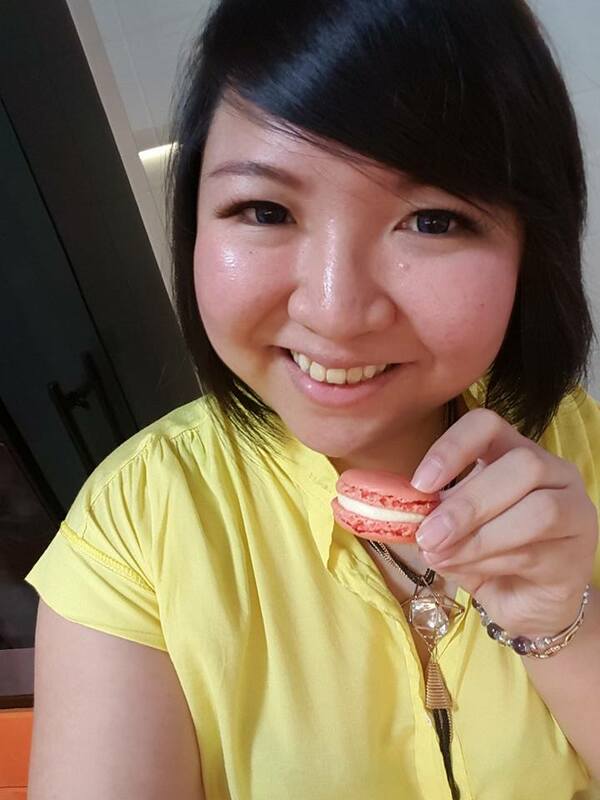 On Saturday evening, I decided to bake some macarons LIVE on facebook. Requested by the hubby, I baked some rose macarons with rose buttercream. It was the first time I was fully made up for a LIVE video. I had been out the earlier half of the day so I just did a video with my makeup on. The hubby and Cartoon who were home were also part of the video! It was also the first time I camped in front of the camera to film the growing of feet for macarons! It was tiring but very fulfilling! So.. these rose macarons take about 2 hours to bake and I'd rate it a difficulty level 4 out of 5.. It's worth a try nonetheless! Those feet are just worth it. 1) In a food processor or blended, blitz the icing get sugar and almond meal/flour till fine. 2) Sift and discard parts that cannot be sifted. 3) In a clean and dry mixing bowl, add egg whites, food colouring and castor sugar. Whisk till stiff peaks. 4) Fold 1/3 meringue into dry ingredients. 5) Add remaining meringue and fold till batter falls off the spatula in a 'V' manner. 6) Scoop mixture into piping bag and pipe onto baking tray lined with baking paper. 7) Allow macarons to dry till surface is dry to the touch. 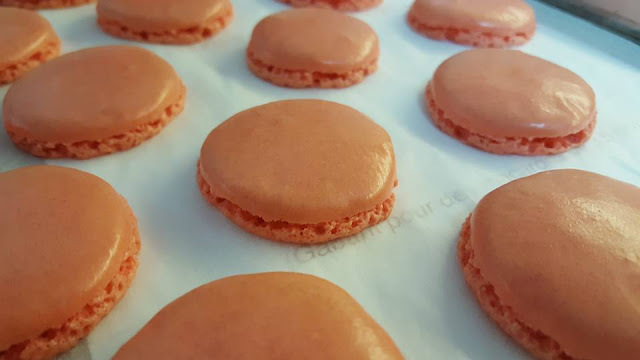 8) Bake in a preheated oven of 150 degree Celsius for 17 to 18 minutes or till macarons do not stick onto baking paper. Can i use vanilla essence instead of bean paste? Will it affect the texture? You may do so but it won't taste as good. If I do not have rosewater, but only rose essence/extract/flavour, still can use?